Welcome Taylor to Team DQB! From Fan to Client to Employee, Taylor Timms has officially joined the team.  While DQB has always been a “one man band” (or DJ & MC ) at weddings and other events, there’s been someone working behind the scenes for the past six months who has been making a big impact. Welcome to the team, Taylor Timms! Taylor joined DQB in April 2018, wears quite a few hats around here, and wears them well. If you’ve noticed an increase in social media activity, social media post quality, and interaction in general, well this is who we have to thank. 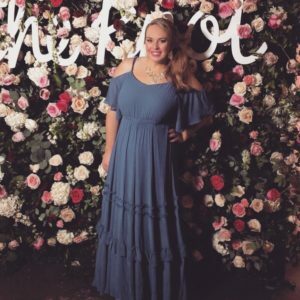 Taylor has taken over the DQB & OontzKids pages on Facebook and Instagram, manages all online DQB presence such as my Storefront on The Knot, and is now even handling most initial event inquiries. She’s been developing relationships with venues, suppliers, and industry colleagues, and her ever-expanding role has us very excited for what the future brings! Not only is Taylor helping by devoting more time in these areas, but she’s freeing up the bandwidth that I need in order to focus on learning new music, creating content, recording DJ Mixes, preparing for big events, spending more time with my clients, and thinking about bigger and bigger things for DQB. Taylor and I actually go back about 10 years. As a couple of wild kids in our late 20s, I was playing music at bars a few nights a week, and Taylor was a regular at the shows, leading her pack of girls known affectionately as “The Real Girls of Tarrant County” who would show up at my events in the Grapevine and Southlake area- Oh, those wild weeknights at Chill, The Tap-In, Ferrari’s, and the mother of all cougar dens, The Wine Loft. In 2012, I was living and working overseas, but Taylor convinced me I was totally capable of flying home to both play live AND DJ at her wedding at The Piazza in Colleyville– in what would turn out to be one of the first times I pulled this off, and become the core of my private event performances for years to come. Three years later, I did the same for her sister’s wedding at Cityplace Tower in Dallas during the unforgettable “Icemageddon” of February 2015. And three years after that? I was struggling to keep up with everything I needed to do in order to make DQB as successful as I wanted it to be. I was juggling social media, online presence, event inquiries, errands, site visits, administrative tasks, video editing, training seminars, being a husband and a dad…and along came Taylor. As a mom to a 3 year old, she was ready to get back to work (she has in impressive background in marketing and management), but needed flexibility. I needed help, but didn’t have the time to train a stranger on my services, branding, and style, needing someone that was already familiar with DQB- so it was truly a match made in heaven. Taylor lives in Keller, TX with her husband Scott (an army veteran, high school teacher, and cross country coach), her 3 yr old daughter Carter (who may or may not be named after Lil Wayne), and her dog Barry Allen & cat Butters (we rarely get through a meeting without a South Park reference). Don’t let the Kendra Scott fool you. Her musical tastes are straight gangsta. Otherwise just don’t get between her and Taylor Swift, or she may actually cut you. Welcome to the team, Taylor! You’re doing great things and we’re excited to have you along for the ride.